If you thought the probable cause issued by the UK and North America to justify their invasion of Iraq wasn't flimsy enough, you obviously never heard about this crackpot theory. 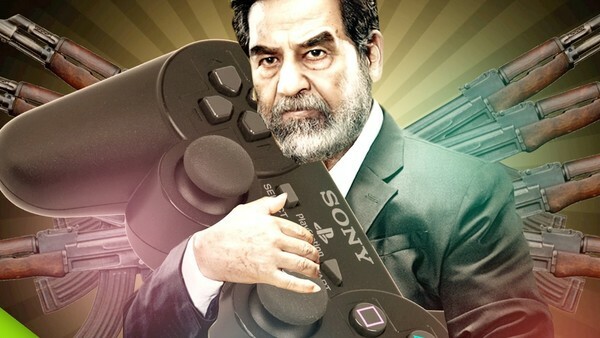 According to a now-removed report published by World Net Daily back in 2000, the deposed and deceased dictator imported close to 4,000 PlayStation 2 consoles during his reign in order to use its components to construct some of those elusive weapons of mass destruction. The potential threat to the West of Hussein owning such heavy duty weaponry is what sparked the 2003 invasion of Iraq, but I'm hopeful that this particular conspiracy wasn't what initiated the conflict. According to the report, the combined might of bundled PS2 units could calculate ballistic data and generate up to 75 million polygons - great for 3D modelling and military applications, but not much else.